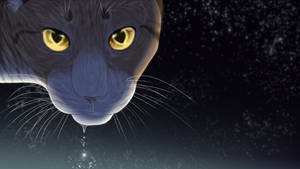 "Then by the powers of StarClan I give you your warrior names: Graypaw, from this moment you will be known as Graystripe. 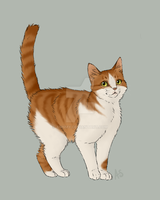 StarClan honors your bravery and strength, and we welcome you as a full warrior of ThunderClan. 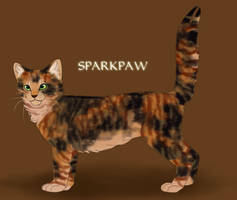 Firepaw, from this moment you will be called Fireheart. 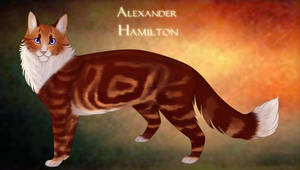 StarClan honors your bravery and your strength, and we welcome you as a full warrior of ThunderClan. 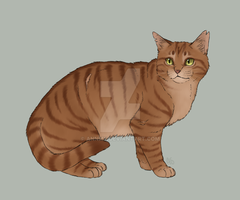 Fireheart, I am proud to have you as my warrior. 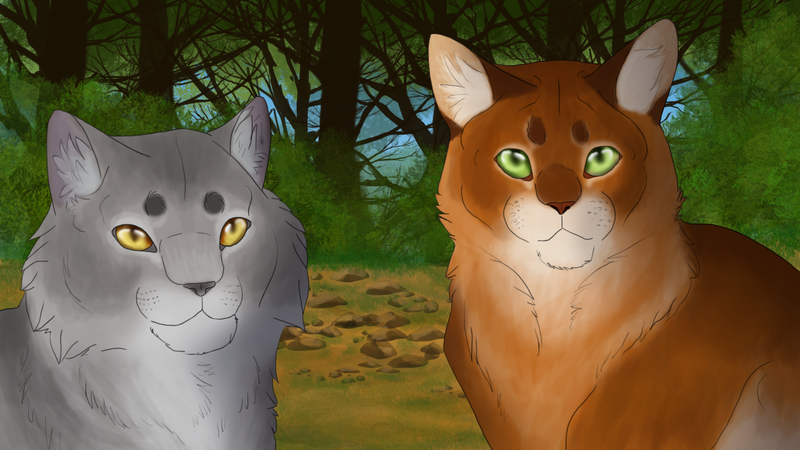 Serve your Clan well, young one"
Yeah, Gray and Fire's warrior ceremony. There should be a crown of cats somewhere and it's supposed to be at night or sunset, but it's done already and i'm not gonna change it. Let's suppose cats are not in front of Highrock (Or highledge, not sure) but at the sides of it. Ahh, this is amazing! I like their designs, and the background is very well done!